Celebrated Appalachian author and gay activist Jeff Mann will give a reading at East Tennessee State University’s Ball Hall Auditorium on October 20, 2008, at 7:00 p.m. The reading is free and open to the public. Mann is best known for his memoir Loving Mountains, Loving Men, which is the first book-length account of being gay in Appalachia. In powerful prose and poetry, Mann writes affectionately of his strong mountain roots and his identification with mountain values such as tradition, family, and place. Yet he is candid about the struggles of being an openly gay man in a region that many gays and lesbians leave. Jeff Mann grew up in Covington, Virginia, and Hinton, West Virginia, receiving degrees in English and forestry from West Virginia University. 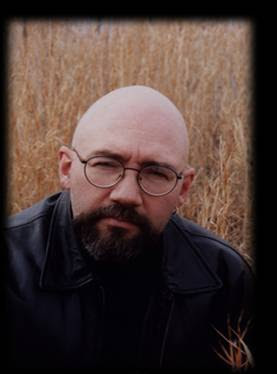 His poetry, fiction, and essays have appeared in many publications and includes five book-length works: Loving Mountains, Loving Men (memoir and poetry), A History of Barbed Wire (winner of a Lambda Literary Award), Edge (a collection of personal essays), and two volumes of poetry, Bones Washed with Wine and On the Tongue. He teaches creative writing at Virginia Tech in Blacksburg, Virginia. For information, contact Dr. Tess Lloyd at 439-6677.